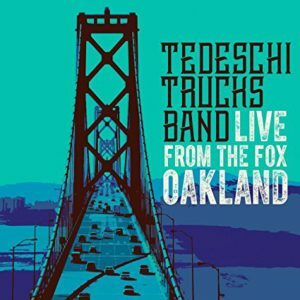 The latest release of Tedeschi Trucks Band features the 12-piece outfit in a one-night performance, September 9, 2016. Taking a group like this on tour must be a massive effort, so kudos to the band and management for keeping music alive. This album contains a mix of Tesdeschi Trucks Band originals and classic covers. 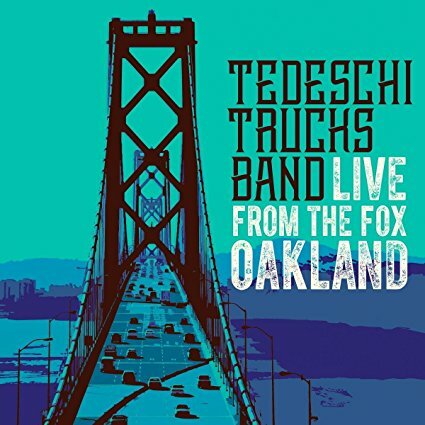 The set opens with “Don’t Know What It Means” and “Keep On Growing.” These are extended versions from their 2016 Let Me Get By album and were written by Derek Trucks. Susan Tedeschi covers a haunting version of Leonard Cohen’s “Bird on a Wire.” There is a cover of the eclectic “Within You, Without You” from The Beatles, where Derek covers the sitar part on slide guitar. True to form he adds some raga-esque improvisation. Made complete with hand drums. “Just As Strange,” “Crying Over You” and “Anyhow” are more offerings from Let Me Get By. “These Walls” features a sarode intro and solo by classical Hindustani player Alam Kahn. “Anyhow” shows the lighter side of Susan as a vocalist, in this track you hear the Bonnie Raitt influence. This track has a great horn part and trombone lick. “Right On Time” uses the horn section to create an old school New Orleans jazz vibe. “Leavin’” is straight out the Allman Brothers Band book. From here the band moves on to cover Santana’s “Soul Sacrifice” and Bobby Bland’s “I Pity the Fool.” The night wraps up with the Let Me Get By title track featuring an organ intro and solo. Susan’s vocals are backed with the chorus of back up singers. All in all, this is album is a thrill. The band delivers extended versions of their latest studio tracks and includes covers that pay homage to their blues, rock, Southern rock, jazz and soul. The live sound mix is clear with only minimal audience noise. The extended jams, show Derek’s legacy. Derek is the nephew of Butch Trucks, Allman Brothers Band drummer (sadly now deceased). Derek played with Allman Brothers Band for several years on lead/slide guitar. Derek and Susan were married in 2001, and have a son and daughter. 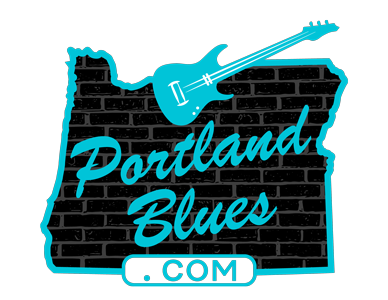 Tedeschi Trucks Band played at our Portland Waterfront Blues Festival last summer, and were definitely a highlight. If you have a chance to catch them live, be sure to go.